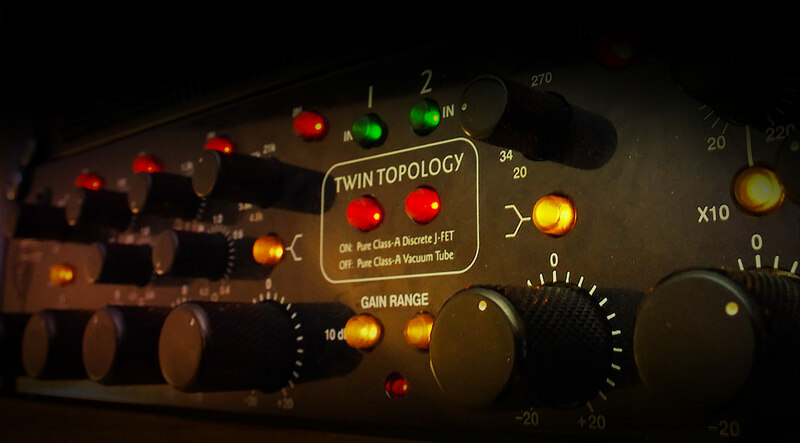 A premium mixing/mastering EQ that offers ultra-transparent tube and solid state sounds. Developed by Brainworx, the Millennia NSEQ-2 plug-in for UAD-2 hardware and Apollo interfaces is a faithful model of the ultra high-end hardware. Revered for its startling realism and transparency, the Millennia NSEQ-2 is a go-to parametric EQ for many of the world’s leading studios and mastering houses. By expertly emulating its unique Twin Topology design and pure class A transformerless circuitry, the Millennia NSEQ-2 plug-in gives you a powerful, sonically neutral, analog EQ that brims with spectacular clarity — at a fraction of the price. Great all around EQ. Performs very similar to the hardware version. M/S feature is an added bonus. I happen to own two Millennia Origin SST channels for stereo application. This is my first chance to review a plugin as a result of A/B against hardware. I bought the NSEQ2 for the ease and memory during tracking. To my surprise, in my ears the plugin is indistinguishable from the hardware in both tube and solid state modes, it's Amazing!!! Gentle NSEQ-2's curves give a polish HiFi quality to final mixes and busses that I couldn't reach with no other plugin from my set. Warmer bass spreaded on tube mode, tighter definition on FET, NSEQ-2 has transparency effectiveness and superior sense of finish, I believe, difficult to find anywhere else. As soon as I started using the demo I realized that there was no way I would miss that kind lush quality NSEQ-2 gives to your music. I absolutely LOVE this EQ on every vocal I've recorded! If you don't have it, BUY IT NOW! It adds an intangible Vocal quality and very Tangible warmth that I couldn't get from anything else! The only negative thing I can write about this Eq is I wish it had hi and lo pass filters. Other than that this thing is smokin. The best overall Eq I use and I have some good ones. The MS feature is awesome as well. For making wide, fresh, fat sounding mixes look no further. one of the best eq emulation on the marked. i love it. the highs and the bass are amazing. use it in 99% o my mastering jobs. This is awesome when you need a transparent boosts/cuts. I have had the opportunity to use the Millenia NSEQ-2 on numerous tracks as well as a few mixes. The finess and precision offered by this EQ is really quite amazing. I absolutely love this EQ on acoustic guitars. This plugin sounds awesome. One of my favourite EQ's from UAD next to the Manley Massive Passive. Very easy to use, and very easy to make any source sound better. Boosting sounds sweet, and subtracting gets rid of what you don't want without leaving a huge hole in the sound. Very elegant, responsive and does not add any colors. Transparent, clear and directed, which in turn is indispensable for mastering. The track may seem that it is not enough, but it is only at first glance. Put the plug-highest score, subjective. This is great for master and busses. It's definitely broad stroke, but it shifts and smooths out the image in a 3d way that I haven't been able to get from other plugins. Absolutely wonderful on the master. Millennia NSEQ-2 is very good! I like her`s FET mode. raises his voice above the mix. I find that Millennia NSEQ-2 plug-in is exellent for mixing vox, bass, acustic guitar and another instruments, because is able to give a trasparent and tridimensional sound. Having purchased custom version ov UAD-2 Octo, i have prefered Millennia NSEQ-2 because the demo sounded so wonderful on my audio tracks. I liked this more than others Eq. I have read some of the reviews for this eq, good and bad, but just getting the 14 day demo was enough for me. Very warm and transparent, very transparent. Push some of the frequencies and you will here more of a presence in the frequency and not a tone change. Except for the warmth. Use it on everything when I like what I'm getting just need more with no color. When I first tried this I was underwhelmed. I didn't really get the best way to use it since the controls are a little different than Im used to. Once I got it figured out and spent a week or so with it, the NSEQ has become one of my favorite EQ's. It is clean and has an ability to brighten the highs with out adding harshness, and punch up the lows instead of creating flab. It almost feels more like moving your microphone on the source than EQ'ing. GREAT plug!! Give it some time to let it sink in. As Vinyl mastering gets more and more these days, the NSEQ-2 plugin is a complete must!! A great EQ with the Millennia sweet subtile warm sound, and with the M/S functions which makes it "the" tool for vinyl mastering. There are a few M/S EQ's out there, with clean digital sound, which is perfect in some situations but the NSEQ-2 is my number 1 for its character. Try the Demo period and I am sure you hear what I mean, you will not go back. Uffe Börjesson, Mastering Engineer, Sweden. I've been doing a lot of mastering over the last several years with the UA plugins, and this is such a welcome piece in my arsenal. I particularly am enjoying the solid state vs. tube comparison on different mixes, and the clarity and transparency of both versions that also including the subtleties of each. I've found the EQ to be versatile, and really pleasing to listen to-- good character, without adding too much color, since I have other boxes for stronger flavor. I have also found it to be a great tool to do a few db of tweaking on the master buss of my mixes. I would highly recommend this one! Instant buy after short trying: It has a wonderful rich and creamy tone while being transparent at any time. Even pushed hard it sounds full and clear and gives sounds very much presence without ever being harsh. This is my new first choice to make small-sounding VSTis sound big, creamy and shiny.